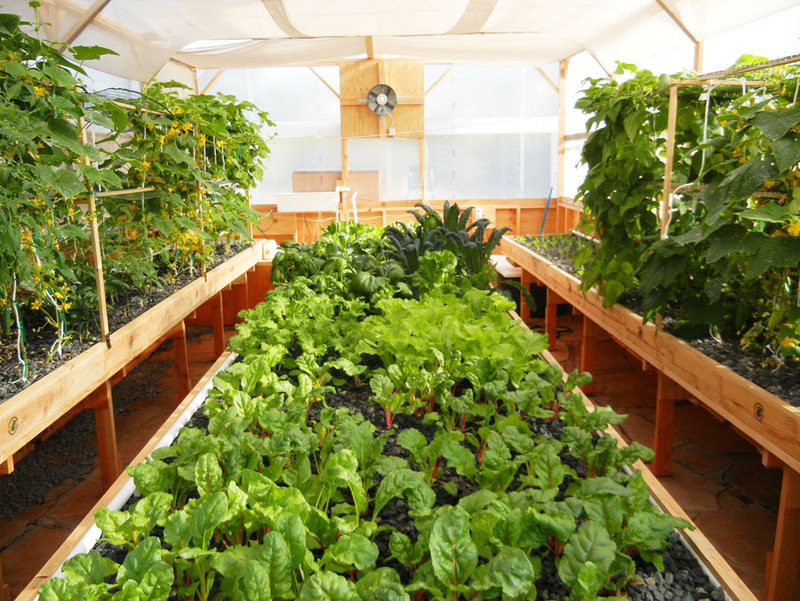 The Portable Farms® Aquaponics Systems are ideally designed for community aquaponics growing. One acre of land can accommodate 120 Portable Farms® Aquaponics Systems’ modules installed in four separate greenhouses housing 30 modules each to grow 320,000 vegetables and 92,000 pounds of fish which will feed 960 people all the food they need to be healthy FOREVER. Plus, it only takes 12 people to operate a full acre. Many large aquaponics installations are designed on the ‘Virgin Island model.’ They are a raft system using a single large fish tank, heavy-duty pumps and filters, and long-shallow grow tanks where the rafts are gradually pushed from one end to the other as the plants mature. By moving the plants several times as they mature, the actual yield-per-square-foot of surface area is very high. The fish tank(s) is very large, often thousands of gallons and the water is moved constantly by a single heavy duty pump from the fish tank to some sort of bio filter or filtration system. The water often goes through an aeration system because the water flowing to the plants growing in the rafts need to have a very high oxygen content in the water for their roots or they will die. The water is then returned to the fish tank with the nutrients stripped out and depleted in oxygen. There is a single large pump the controls the water flow out of the fish tank and if it fails, the fish die. The water at the end of the grow tanks needs to be lifted back up into the fish tank, this involves more pumping and the pumps can fail. The bio filter must be cleaned daily, or the waste will overwhelm the system and poison the plants. 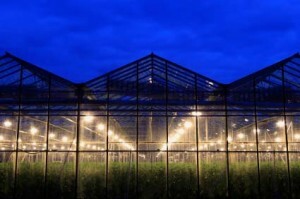 The plants are handled several times, first planted in some type of pot or medium, transplanted to a wider spacing, transplanted at least once more to their final raft and finally harvested. The system requires a very large amount of water to start and consumes large amounts of water because the fish tank is open on top and evaporation is taking place. The filtration system has also exposed the water to the air and evaporation takes place. Only small leafy vegetables can be raised in this system (mostly lettuce and basil). The raft system works, and it works very well. It requires more water, more power and more labor to operate than the medium-based systems (gravel grow beds). Each module is a standalone system with the fish tank, clarifier and grow tray working together. There is no limit to the number of modules in an installation (example, 30 modules fit into a 10,000 sq foot greenhouse). The maximum amount of water in each tank is 400 gallons. The maximum number of fish in each tank is 400. The ‘bio filter’ is in two parts, the clarifier and the huge gravel bed. The clarifier only needs to be cleaned every two to four months and the gravel NEVER needs to be cleaned. The water is lifted one time (requiring electricity) using a small pump and the rest of the time it is flowing downhill back to the fish tank (gravity and flow). The plants are handled three times. For greens, the seeds are planted into inert cubes, the seedlings/cubes are planted into the gravel and then at harvest time the entire plant is removed. Tomatoes, peppers, cucumbers, eggplant, green beans, peas and other flowering plants can be grow in great quantities and harvested over time. 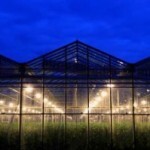 Two full time employees are required for each 10,000 sq ft installation and most of their time is taken up with harvesting and planting, not moving and transplanting seedlings. IF the electrical power fails to the entire system, it is designed so well that the fish will survive 12 full hours without aeration and the plants can go a full 24 hours on the residual water in the gravel. That is a HUGE safety factor. If an individual pump fails it has no effect on the rest of the installation, only that particular module. A raft system uses over 15 times as much water initially, and requires four-to-ten-times as much makeup water as the PFAS commercial installation. The raft system has more than one single point of failure and the PFAS has no single point of failure for an installation only in each module. The electrical power requirements are four to six times higher in the raft system compared to the fill and drain medium based systems. Bottom line: Portable Farms® Aquaponics Systems are ideally designed for community aquaponics growing. One acre of land can accommodate four Portable Farms® that grow 320,000 vegetables and 92,000 pounds of fish which will feed 960 people all the food they need to be healthy FOREVER. Plus, it only takes 8 people to operate a full acre. For more information on the Portable Farms® Aquaponics Systems contact us today. One acre of land can accommodate four Portable Farms® modules that grow 320,000 vegetables and 92,000 pounds of fish which will feed 960 people all the food they need to be healthy FOREVER. Plus, it only takes 12 people to operate a full acre.
. One acre of land can accommodate four Portable Farms® that grow 320,000 vegetables and 92,000 pounds of fish which will feed 960 people all the food they need to be healthy FOREVER. Plus, it only takes 8 people to operate a full acre. Is it 8 or 12 to run a 1 acre farm? Thanks and keep up the good work.I really am fascinated by your work and would really like to try the system one day when it is possible for me. Nice catch. Both numbers are actually correct. The difference is only 8 people are needed to physically operate a full acre, BUT with that size operation you will need a planter, a scheduler and a sales person plus some HR support, thus the 12 number. I am visiting Puerto Rico this week from Florida. I would like to visit a Portable Farms operation in Puerto Rico if there is one. Can you give me the contact information and/or address of a Portable Farm operation in Puerto Rico. Thanks. We receive a similar request to visit a Portable Farm operation to see one in action as least several times each week. There are only two installations of any size in the world that the owners have agreed to give tours. 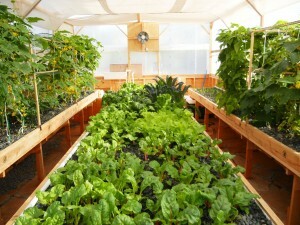 Of the hundreds we have sold, through the Aquaponics University Course and commercially, only two have agreed to tours. The reason is that the owners DO NOT WANT OTHERS to know they have a perpetual food supply, even the commercial installation owners do not want people coming on tours. Tours are disruptive, those on tour are not particularly nice and there is NO INCENTIVE to take the time to have people see their operation. We know, we have hosted over 7,000 people on tours through our installations and the percentage of tour to purchase was less than 1%, not a good investment of time. Sorry, you’ll have to put a PFAS Unit up and then you can offer tours.